What does it mean to give your work away? To encourage your supporters to make and give their work away? What sustains the work in these kinds of networks, and what does it mean for education (especially the kind that is presumably meant to equip people with skills for work)? What does “work” even mean anymore? Big Questions, Night Vale. Big. Questions. To address some of these big questions, I’d like to think through (with you) how a free podcast that welcomes and solicits fanworks as part of its creative ethos sustains itself. Within that fan community, I’d like to look specifically at how a fiction/fanart exchange might generate interest and extend both the fictional and online communities. Along the way, I’d like us to consider together what fanworks and fan exchanges might offer to conversations about multimodal composition, fair use, and 21st Century literacies. Though my argument is still in its formative stages, I’m especially wondering about whether the multimedia skills that are often touted as job skills might be approached more productively as community skills. Online communities offer a stage to display a wide range of talents and abilities to an appreciative audience, and in turn, they encourage the uptake of skills and habits necessary to create and share on that stage. This reciprocal process blurs the lines between audience, creator, performer, and performance, creating a new kind of consumer culture that thrives on the opportunity to participate in its own creation, to pursue its own education, and to produce its own entertainment largely outside of monetary systems. All of this work takes place around shared narratives, so an attendant question might be: does giving your work away and inviting people to transform and remix it create a more durable community? By creating a more durable community, do you increase your chances of sustaining yourself by your art? 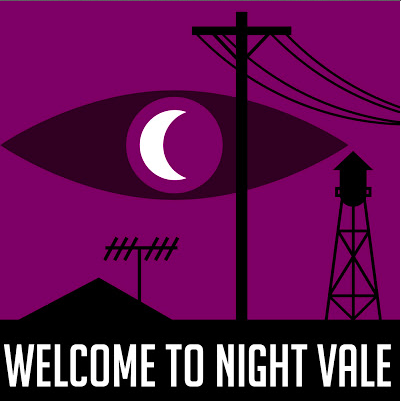 If you live a significant amount of your life in social media (like I do), you’ve probably seen something cross your dash or pop up in your twitter stream about Welcome to Night Vale. No? Well, consider this a recommendation to go check it out. It is a 20-30 minute fiction podcast written as a community radio broadcast from a small town in the American Southwest that is crowded with a combination of the mundanities of small town life, an abundance of conspiracy theories, and a number of Eldritch horrors. Written by Joseph Fink and Jeffrey Cranor, it is beautifully narrated by Cecil Baldwin (the name of the main character and the actor who voices him), and it is posted on the 1st and the 15th of each month. You can find it here on iTunes, where it caught a good bit of media attention for leaping to the #1 podcast spot just over a year after it started. I could go on and on about the things I like about Night Vale, and I invite you to feel free to talk with me about it if you decide you like it too. Seriously. I need discussion partners. But what I want to dive into here is not the awesomeness of Night Vale, but the way my introduction to it came through social media and developed my facility with that particular platform. About a year ago, I wrote a post about how I didn’t quite get tumblr. I chalked my ambivalence up to a (generational) unfamiliarity and thought perhaps it had something to do with my preference for text as well, since I take tumblr to be a largely visual platform. I still had a tumblr, and I checked it once a month or so when I felt “caught up” with my usual social media sites. On one of these drive-bys, I slowed down to look at some incredible fan art, and I thought, “I wonder what that’s based on?” About a week later, I checked back, and my tumblr feed was overtaken by cryptic quotes and great art, so I went looking for the podcast. When I think about my progression from an ambivalent, nearly scornful, attitude toward tumblr to a wholehearted embrace of the platform and what it offers, I think it’s fair to say that I adapted my internet habits and adopted new ones because I found a community of people making (textual, visual, musical) art around a narrative that I was interested in. My points of entry into myspace, livejournal, dreamwidth, delicious, pinterest, Facebook, twitter, and tumblr were similarly constructed around the twining ideas of community, narrative, and art/making. I think with all the conversations around the ways that social media and technology can leave us “connected, but alone,” it’s important to think about these communities of interest and how they support – well a variety of things, really, but especially the acquisition of tech savvy practices. It’s not greatly different from how it’s always been done, or from how our conversation on the plane started, though it may not look the same. You have to risk and learn the appropriate code/cues and find compatible people and invest in them. You invest in a shared project, you learn the language specific to your shared space, and you invest in each other with your own stories. You build community; you build narrative; you build tech experience.